Manual topdresser for artifiical turf. Manual spreader HS800 applies filling material to artificial turf. A sliding valve controls the amount of filling material. The top-dressing process begins as soon as the front wheels come into contact with the ground. 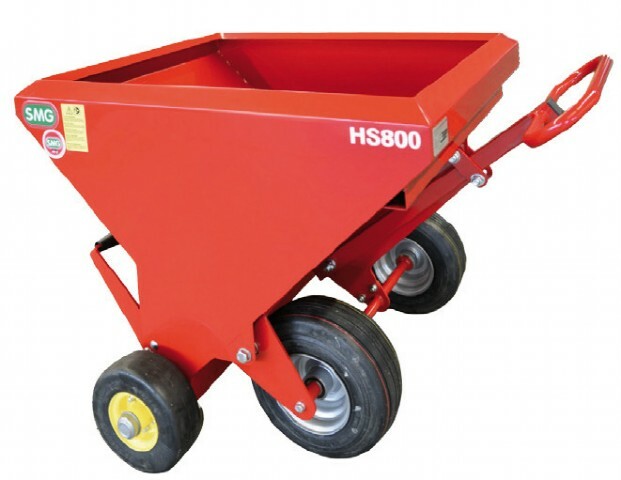 If top-dressing did not take place, the HS800 is tilt back with the drawbar and manoeuvred on the rear wheels.